Open Entourage and if prompted, create a new identity. Click the Entourage Menu and then select Account Settings. 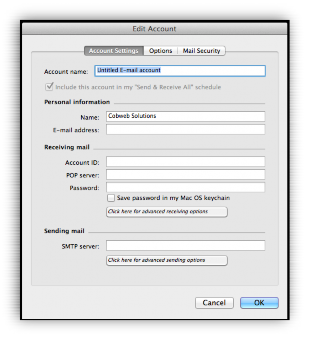 From the Accounts window make sure you have the Mail tab selected and then click New. 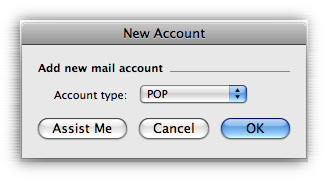 Select POP or IMAP as the account type and then press OK.
Account Name: This can be anything you want. It is for reference purposes only. 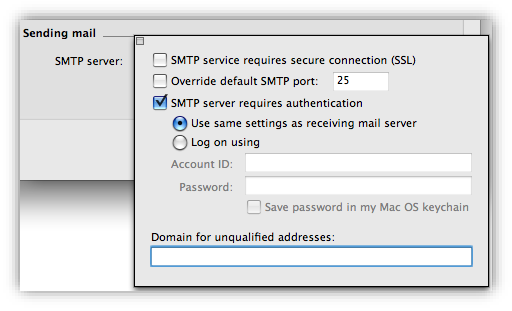 Click on the Advanced sending options button and check the SMTP server requires authentication box. Click the small square in the top left hand corner of the box to exit back to the settings. Press OK. You will now be returned to the Accounts window. 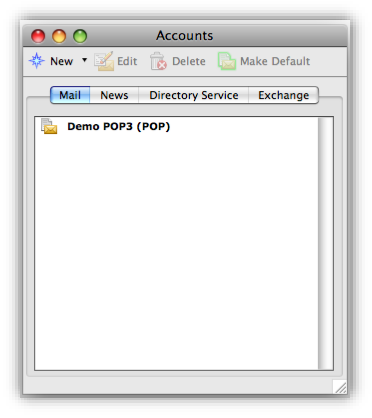 Your POP3 account will now be displayed in the accounts list. Your account is now successfully configured.